Dress your morning boiled egg up as Harry Potter himself with this super-cute Harry Potter Egg Cup and Toast Cutter. 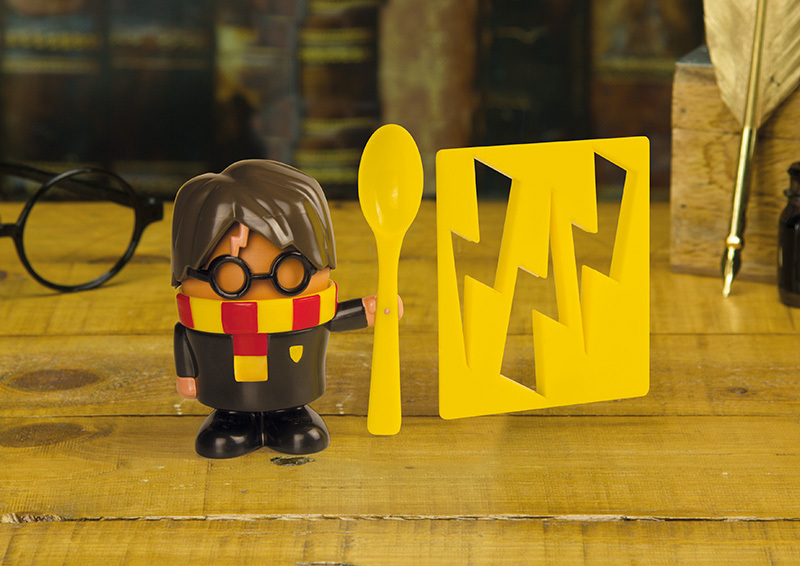 Plonk your egg in the egg cup and place the egg topper on top and you’ve got your very own little Eggy Potter. There’s also a spoon in the pack, and a toast cutter designed to make your soldiers the same shape as Harry’s famous lighting bolt scar. 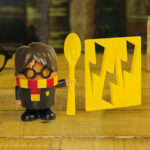 Have a magical breakfast and put a smile on any Harry Potter fan’s face with this fantastic gift. First published in 1997, J.K. Rowling’s bestselling series of novels following the magical adventures of Harry Potter, Ron Weasley and Hermione Granger has since become a cultural phenomenon. A huge success in novel form, the world of witchcraft and wizardry was then given big screen treatment in 2001, launching one of the most successful blockbuster film franchises in cinema history. Harry Potter is instantly recognisable to millions of people across the world, and is hugely popular among fans of all ages. 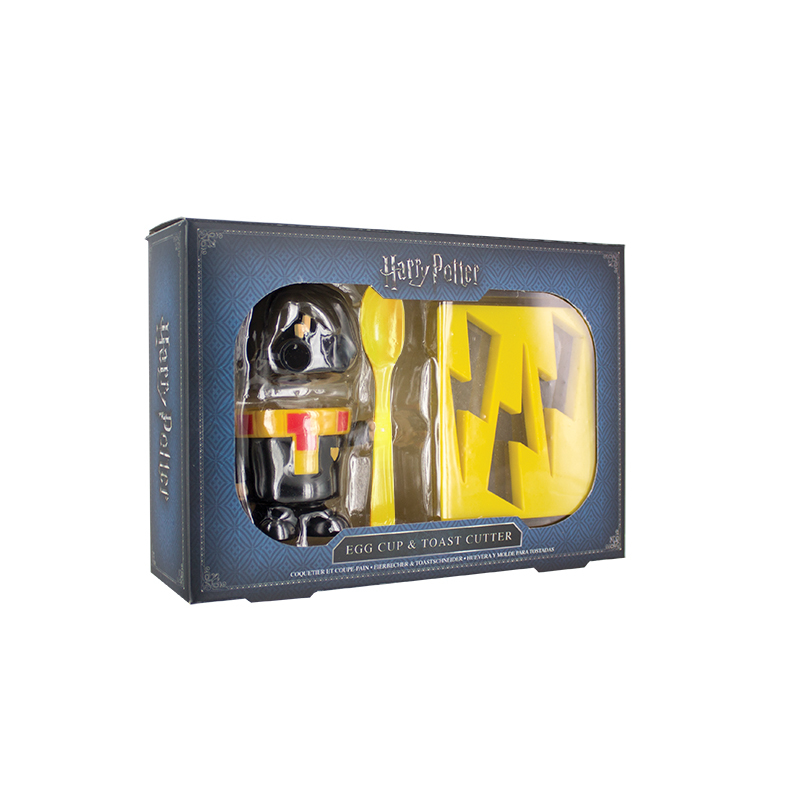 The Harry Potter Egg Cup and Toast Cutter is an officially licensed Harry Potter product.